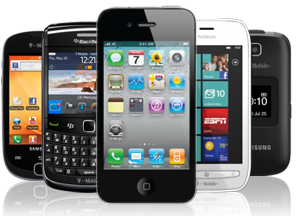 You'll find some Kyocera Mobile Manuals PDF this page above. Kyocera - Japanese high-tech company founded in 1959. Corporation headquarters is located in Kyoto (Japan), and in 68 countries employ about 60 000 of its employees. Currently, the company manufactures high-tech ceramics, ceramic kitchen knives, cutting tools, electronic components, solar cells, cellular phones and office equipment (printers and copiers). The Corporation has made a contribution to the social life of society, in particular it supported the Kyocera Museum of Art, Children's program of travel and the Kyoto Prize, appropriated by people who have succeeded in one of three areas - high technology, science, art and philosophy. Kyocera is also sponsoring the football clubs Reading Kyotosanga, Dortmund and Atletico Paranaense. In 1985 he presented a laptop computer Kyotronic 85 equipped with an LCD monitor. 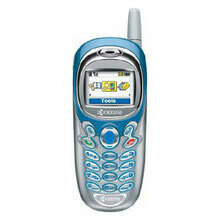 In February 2000, Kyocera acquired the production of mobile phone company Qualcomm. This acquisition was the basis for the creation of Kyocera Wireless Corporation Company in the United States. In 2005, Kyocera has ceased to produce both film and digital cameras. In January 2008, Kyocera acquiring Sanyo (Manuals PDF page) production of mobile phones.